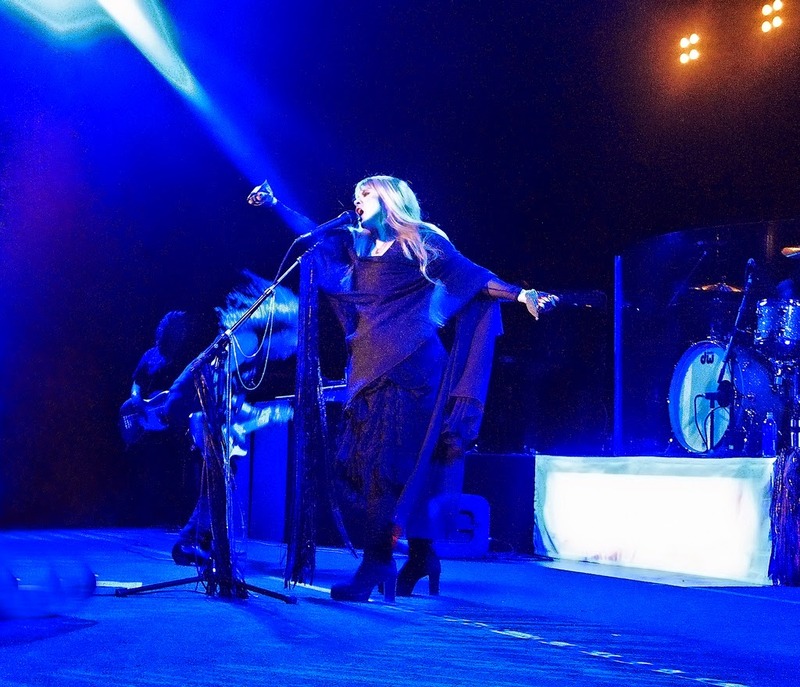 Fleetwood Mac News: Why is Everyone in SF Obsessed with Stevie Nicks? Stevie Nicks turned 66 years old not long ago, and she’s everywhere. She sang a duet on Jimmy Fallon, with him as Tom Petty. She was on American Horror Story: Coven, having played herself – possibly because Ryan Murphy can’t resist writing his love of her straight into his characters’ minds. She even did a weather report. With her vampish hedonism and love of shawls and Victoriana, there is something delightfully absurd about Stevie Nicks’ persona that seems to resonate in San Francisco. She is approachably, unpretentiously weird. As a drag icon for years – although the Night of 1000 Stevies is a New York thing – she’s a recurring specter on the scene. We asked some creative current and former Bay Area residents their thoughts on this brilliant woman, the goth-witch draped in chiffon who sings white-bread songs with universal appeal. And although they’re skipping San Francisco for Sacramento and San Jose, Fleetwood Mac will tour this fall, in their full lineup. Just in case you were wondering. Continue at The Bold Italic for the rest. Home ground for her and Lindsey. Palo Alto is not that distant. With Fleetwood mac and as a solo artist, she is very popular there. Stevie didn't do a weather report did she?! Basically everyone everywhere is obsessed with Stevie Nicks.. Get it obsessed with Stevie NOT Fleetwood Mac and certainly NOT with Christine McVie. when she casts a spellbound on you forget it and from there its all over, your obsessed thats the way it is. for 40 yrs she been doing!!! It's because she is honest. It is because she is all heart. It is because she was born to write incredible lyric with an incredible voice. It is because she knows heart break. Having been a second thought to FM, her star shinned higher then the rest of the band. LB could not handle it I suppose. It's because she is true to herself, it is because she loves life. And I believe she lives for I believe one day to be held for a long while by her true love. She can not let anyone else into her heart, when it belongs to another. Her lyric makes all the sense in the world, and at the same time, it doesn't. Just like life. I think her man LOST OUT!! !